The previous Atlantic hurricanes this year have been Hurricane Danny in late August and Hurricane Fred in early September. But between early September and now, there have been a series of tropical storms, which leads us to how Hurricane Joaquin got its name. According to the National Oceanic and Atmospheric Administration (NOAA), tropical storms and hurricanes in the Atlantic Ocean are given alternating male and female names, in alphabetical order. The list of names goes through a six-year rotation before it begins again. 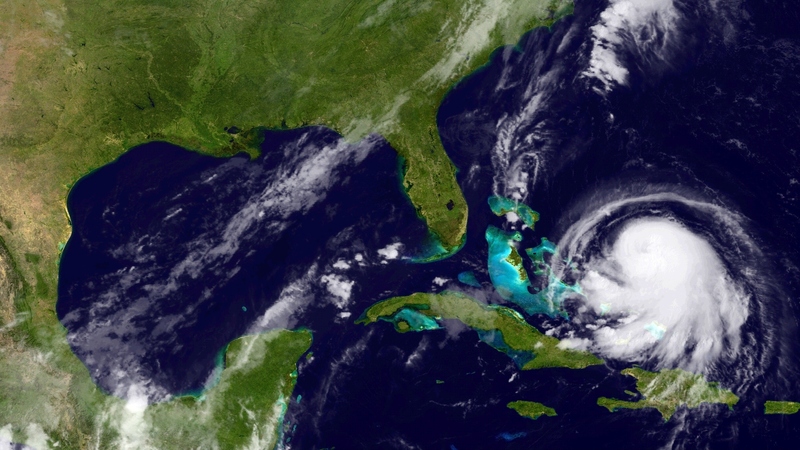 So Joaquin, like all tropical storms and hurricanes, was next in line for its particular name. The purpose for naming tropical storms and hurricanes is for ease and precision in communicating to the public about them. The U.S. began naming storms in 1953, but only used female names until 1978. However, NOAA is not the entity that manages the rotation of names. The naming of storms was established by the World Meteorological Organization. NOAA states that the only time that Atlantic hurricanes are given a name that breaks the official rotation is if the storm is so deadly or destructive that it would be in poor taste to use it again for a future storm. The National Hurricane Center, which is a division of NOAA, does not list another major hurricane named Joaquin in the last 115 years, so this could be the first major Hurricane Joaquin the Atlantic Ocean has seen. The National Hurricane Center has warned that life-threatening swells could form near the southeastern U.S. by Thursday. However, the primary concern as of Wednesday afternoon is for the central Bahamas, and Weather Underground reported that the course of Joaquin will be extremely difficult to predict past the point of hitting the islands. The next complete advisory from the National Hurricane Center will be released at 11 p.m. EST Wednesday.